Welcome to party season! The fall isn’t just the start of the holidays for us, but a good 2 months of birthdays. 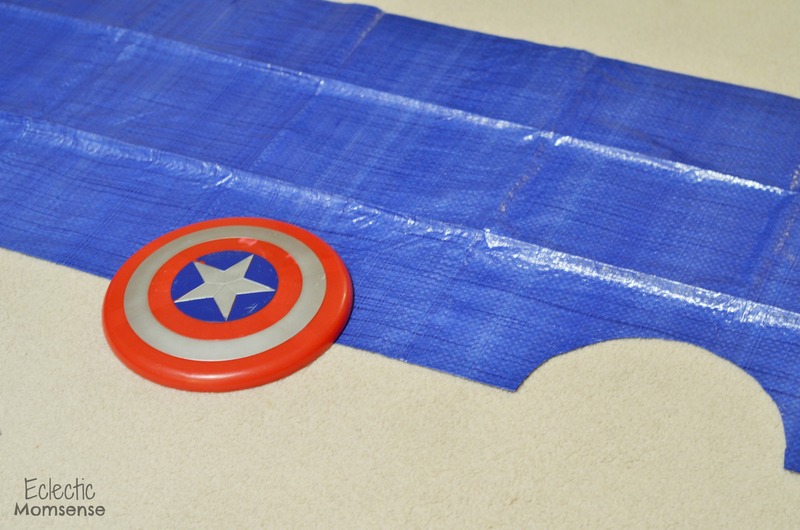 I recently held a fun Captain America playdate (details coming) with lots of food, fun, and costume play. I’m always looking for budget friendly party decor and game ideas. 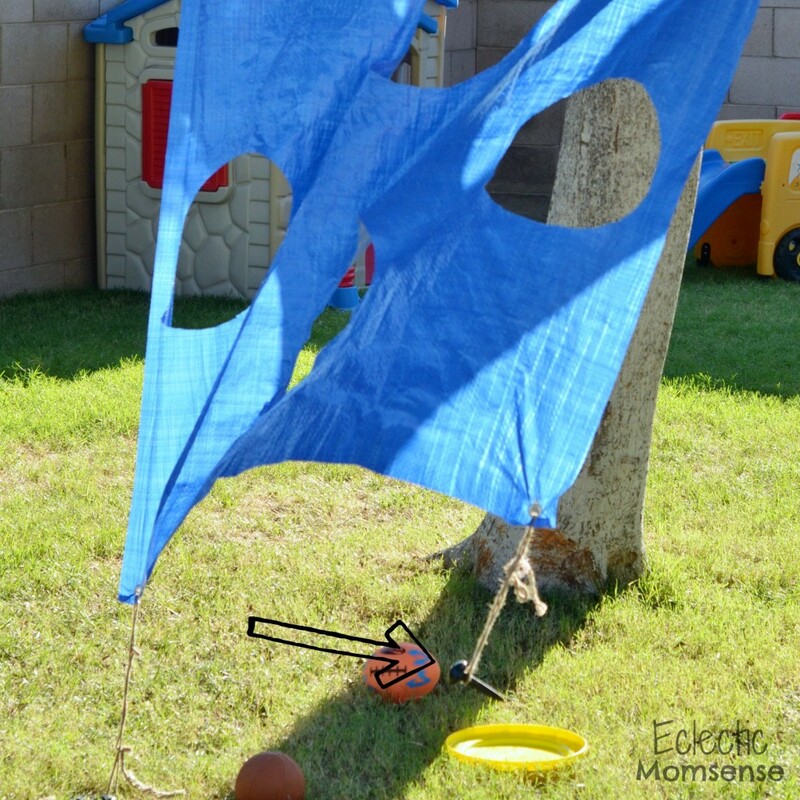 As I was out scouring the Dollar Tree for party supplies I found a blue tarp, perfect for a toss game. It took mere minutes to prep our game toss and install in the backyard. The kids couldn’t wait to try their hand at throwing and tossing through the holes. We hung ours lengthwise so it was the perfect height for even me big and the little guys. For an inexpensive party game it’s held up quite well and even survived the mini dessert hurricane we experience today. Fold your tarp in half. Use a round object like a frisbee as a template for the openings. Place the frisbee half way on the tarp and trace. 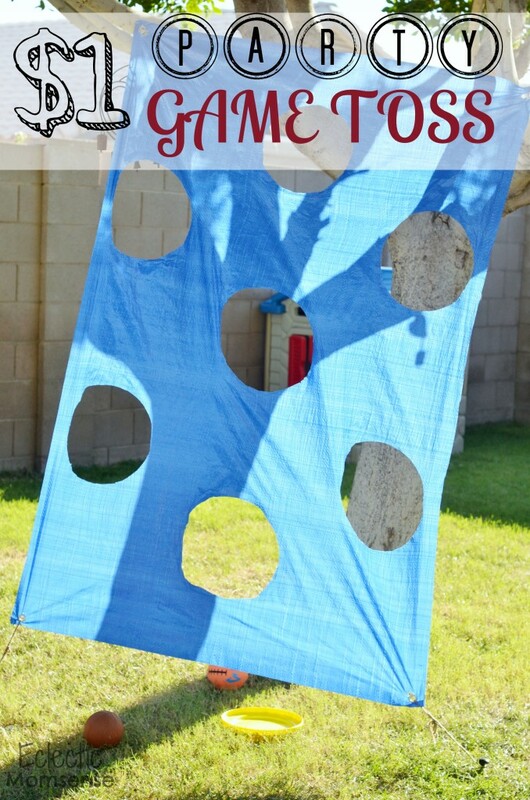 Continue folding your tarp, tracing and cutting until you have the desired number of holes. 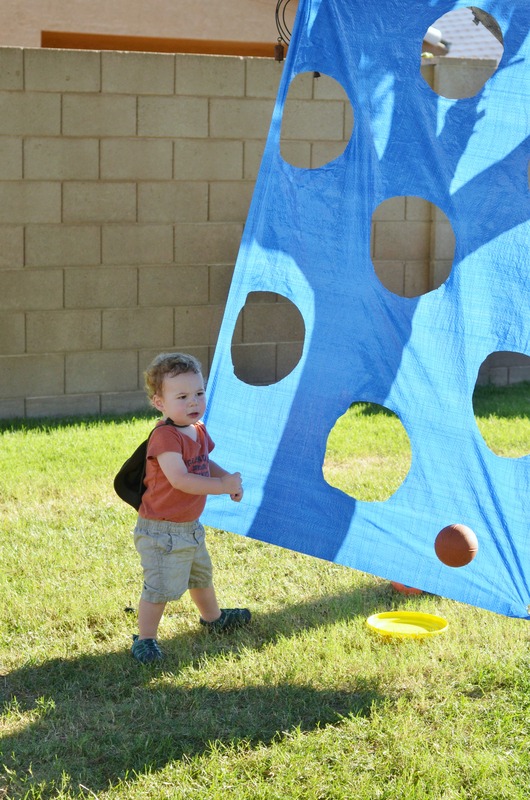 Use the included grommets to attach your toss game. Lace rope through the grommets and tie to a tree or other object. Be sure it is away from any fences so you avoid loosing any balls or Frisbees. This is not the Sandlot. Use stakes (I stole mine from our slip ‘n’ slide) to attach the bottom of the game toss to the ground. You want your tarp taut, but not too tight. Have the kids all stand on one side and take turns throwing objects through the tarp. 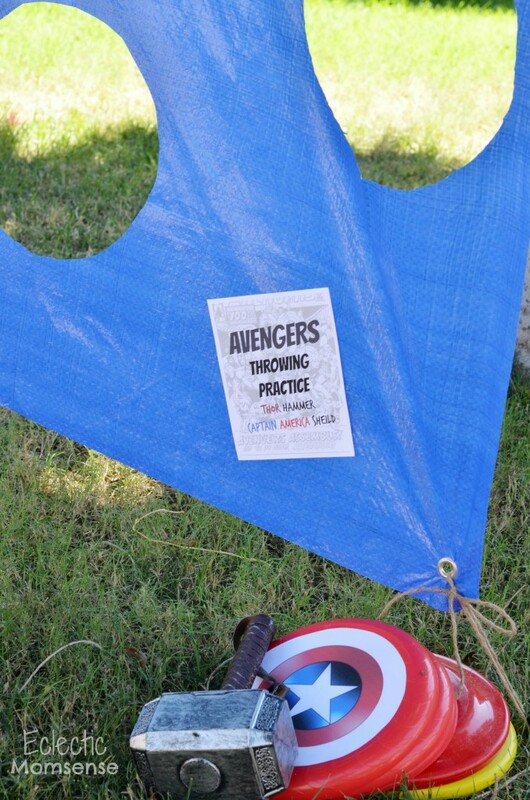 *Here’s a sneak peak on how we repurposed the toss game for our superhero playdate.